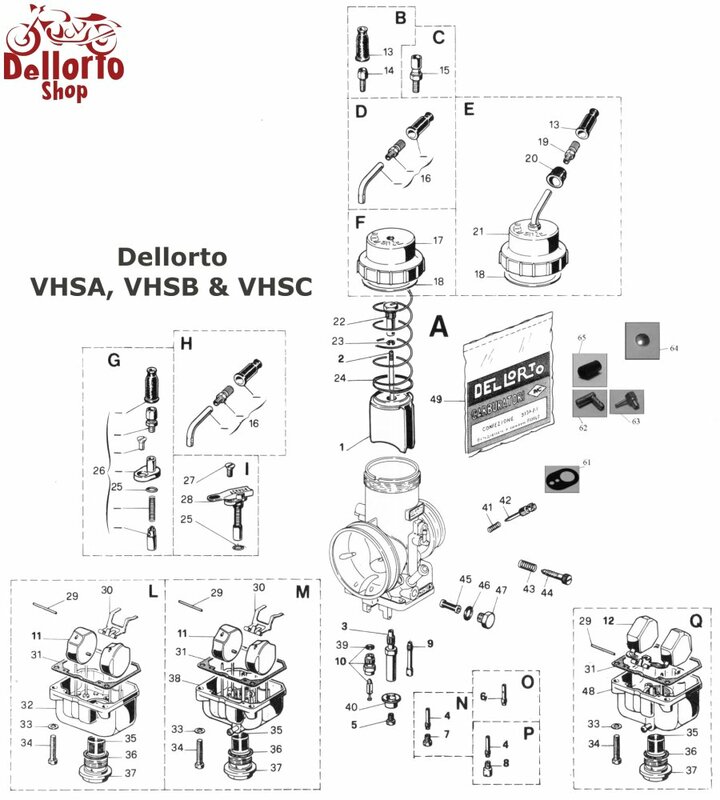 This is the single dellorto needle valve needle for the Dellorto VHSA, VHSB and VHSC carburetors. Only genuine Dellorto needles are marked with the diamond shaped "Inc" logo! It is Viton-tipped and spring-loaded. This needle is used in the seats with size 250 and 270 of our set which you can find HERE. The body measures 4 mm square. The length of the body + Viton tip measures 14.95 mm. The overall length is 18.75 mm. Please note that this needle will NOT fit the seats of sizes 300, 350 and 400. This is item number 10 in the drawing.